Ellis Potter suggests we can best understand reality by seeing it in terms of two great divisions. The first division is between the Uncreated and the Created. The Uncreated is God and God alone, who has personality, meaning, relationship and love. All else is in the realm of the Created including all that is finite, made and sustained by God. The Created realm is also divided into two parts, the Natural and the Supernatural. The Natural includes matter and energy and everything like rocks and moons and plants that can be measured and examined by science and mathematics. The Supernatural includes angels and demons and spiritual powers that are just as real as everything in the Natural realm but that can’t be measured and examined by science and mathematics. Now if you imagine these realms of Reality visually there will be some sort of interface between them where they divide. And human beings usually are interested in finding some way to penetrate past the boundary to catch a glimpse into the other realm or engage it in some way. Mystics of every religious tradition claim to have found entrance into the Supernatural realm, often using techniques like fasting and meditation to achieve it. And interestingly that seems to be part of St Peter’s experience when he had his life-changing vision from God. 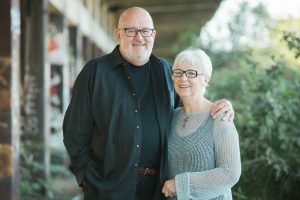 Peter “became hungry and wanted something to eat,” Luke reports, “but while they were preparing it, he fell into a trance and saw the heavens opened and something like a great sheet descending” (Acts 10:10-11). That day in Joppa on the roof of Simon’s house, the apostle saw something that can only be described as belonging to the Supernatural realm as he heard the voice of God. What is the interface between the Natural and the Supernatural realms? And how can it be accessed, and by whom, and when? In the early seventies when Margie and I lived in New Mexico in a Christian commune many of the people drawn to His House were also drawn to psychedelic drugs. Some people took LSD, peyote, or psilocybin (magic mushrooms) as a form of escape in a world so broken that finding escape is attractive. But most of the young adults we came to know well used psychedelics because they believed that reality was not limited to the natural world. They were convinced that the part of reality beyond the natural, a supernatural, spiritual realm really existed. And they believed a way into this realm was available in the use of psychedelic drugs. Folk religions and traditional shamans had long known this, they said, and stories circulated of trips that opened into the beauty of light unspeakable. Most of our Christian friends, especially evangelicals were dismissive, if not disdainful of such stories. If contact was made with anything, they said, it was demonic. The Supernatural realm, they claimed could only be accessed by Christians through prayer or Bible reading. As we listened to the stories of those who used psychedelics and watched their lives, we came to believe our evangelical friends were mistaken. My own experiment with LSD suggested that more was going on than the reductionist explanation that only believers had access to the Supernatural and that all else was the machinations of evil spirits. Psychedelic drug use is not as prevalent as it was in 1971 when we lived in His House. But interest in the Supernatural remains high, even in our secular age. If you doubt that you haven’t been watching many movies. So, if we are to be discerning Christians, some questions need some serious reflection. What is the interface between the Natural and the Supernatural realms? How can it be accessed, and by whom, and when? And most important for those who name Christ as Lord, what do the Scriptures reveal about it? Ellis Potter answers these questions in The Cloud of Knowing (2018). Originally a lecture given at L’Abri Fellowship, this small format book (4×6 inches) includes his lecture on the topic, really a Bible study, and answers to 35 questions people have asked when he’s spoken on the topic. Oh, yes, there are also illustrations and a poem. 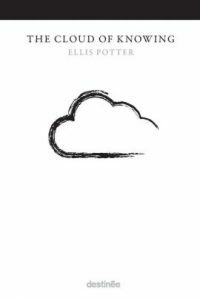 The Cloud of Knowing by Ellis Potter (Destinee; 2018) 108 pages.